Spotted these two guys as I drove through our nearest town after church on Sunday morning. 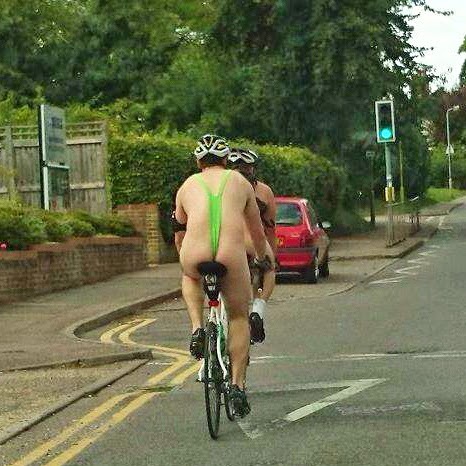 From a distance it looked as though both cyclists were naked - so to say I was surprised would be an understatement! After all, it was rather cold that morning - and the next town in any direction is at least 8 miles away. Not to mention that the sight of two bare bottoms wobbling around on bicycles is unusual - to say the least - in this part of the world! 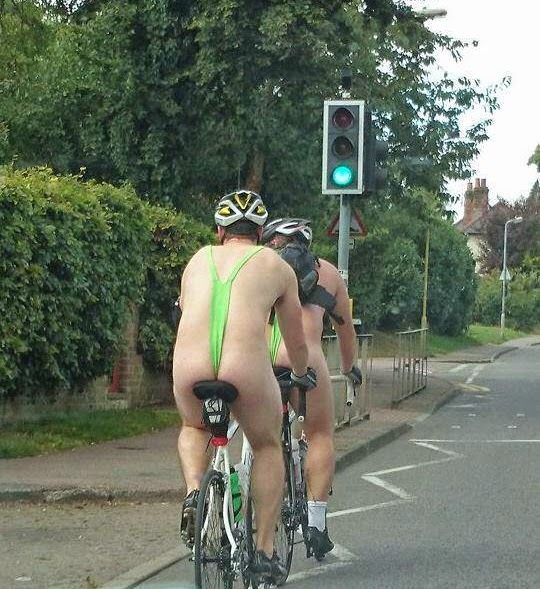 Anyhow, I've since learned that this brave pair don't always cycle around the Hertfordshire countryside wearing next to nothing! On this occasion they were raising money for charity by riding 100 miles - raising money for Diabetes UK. A very worthy cause - Go lads!! !